04/16/2019 - 10:30 According to the Bureau of Transportation Statistics, more than 70 percent of internationally traded goods in the United States will be moved on water. Because it is such a large part of the economy, it must be done in the most efficient way. That is where CSL Professor Andrew Alleyne comes in. 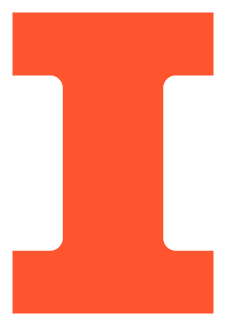 04/15/2019 - 15:45 The University of Illinois at Urbana-Champaign’s College of Engineering will become The Grainger College of Engineering, recognizing a new $100 million gift from The Grainger Foundation and more than $300 million in total support. 04/10/2019 - 17:00 A new technology developed by CSL professor Jean-Pierre Leburton provides the technological ingredients for the development of nanoscale and personal medicine in the search for cancer cures. 04/09/2019 - 11:00 More than 10 departments from across the campus collaborated to make these agbots! More photos, video and the story behind the design. 04/08/2019 - 09:15 CSL Professor Gul Agha was recently interviewed as part of Illinois Engineering's Illinois Innovators podcast. 04/05/2019 - 08:00 Each year, Google funds unrestricted support to a select number of researchers in the field of computer science and engineering. This year, four faculty from the CSL and Information Trust Institute received this honor. 04/01/2019 - 14:45 Although the Center for Autonomy was officially announced in December, it is already having an impact on staff and students at the University of Illinois. In late February the center brought in two speakers from Uber to discuss their vision and activity on autonomous vehicles. 03/28/2019 - 11:45 The bond between a parent and their child is forged within the first few weeks of life. For parents whose babies are born premature or with complications, these bonds are harder to establish as the baby needs to be hooked up to a variety of wires to be constantly monitored. CSL Professor Naresh Shanbhag is part of a team working to replace the wires with a patch that would allow parents to hold their little one while it’s being monitored. 03/15/2019 - 09:45 Students that pass through CSL have the potential to change the industries they enter after graduation. The industry these students revolutionized? Cat toys. 03/12/2019 - 16:30 While former student Mingu Kang is now a research staff member for IBM Thomas J. Watson Research Center, the research he conducted while at CSL is still being recognized. 03/07/2019 - 08:45 CSL Professor William H. Sanders was named Herman M. Dieckamp Endowed Chair in Engineering. The professorship is made possible by a gift from Illinois alumnus Herman Dieckamp. 03/05/2019 - 10:45 CSL's Andrew Alleyne was one of four plenary speakers at the fifth annual 2019 Indian Control Conference in January at IIT Delhi. 03/04/2019 - 10:00 Using distances between points that can't be seen with the naked eye, CSL Assistant Professor Ivan Dokmanic is attempting to develop labels that would allow him to reassemble molecules. 02/27/2019 - 09:15 CSL Assistant Professor Haitham Al-Hassanieh has been named as one of this 126 recipients of the 2019 Sloan Research Fellowships from the Alfred P. Sloan Foundation. 02/25/2019 - 12:00 Students that get accepted into an Illinois engineering program are some of the best and brightest in the country. What happens when you give those students room to think and create? That is the idea behind the new startup company Alchemy. 02/19/2019 - 09:00 The CSL Student Conference has been a mecca for CSL’s graduate students for the last 14 years, and this year was no different. 02/18/2019 - 10:30 This academic year, CSL is pleased to welcome eight new faculty members, all of whom are also new to the University of Illinois at Urbana-Champaign.